Unlike many of my friends, my first video game console wasn't the original NES. It was a Commodore 64, which my parents bought as our first home computer. It could do a few useful things, but the C64 was always first and foremost a gaming system in our house. So while I find the SNES Classic Edition intriguing, this miniature Commodore 64 really hits a nostalgic nerve for me. Like Nintendo's miniaturised NES and SNES, the C64 Mini is a shrunken plug-and-play system that connects to modern TVs with a single HDMI cable, providing a better on-screen image using pixel filters that can also emulate the look of a fuzzy CRT TV, if you miss the days at having to squint to read the screen. 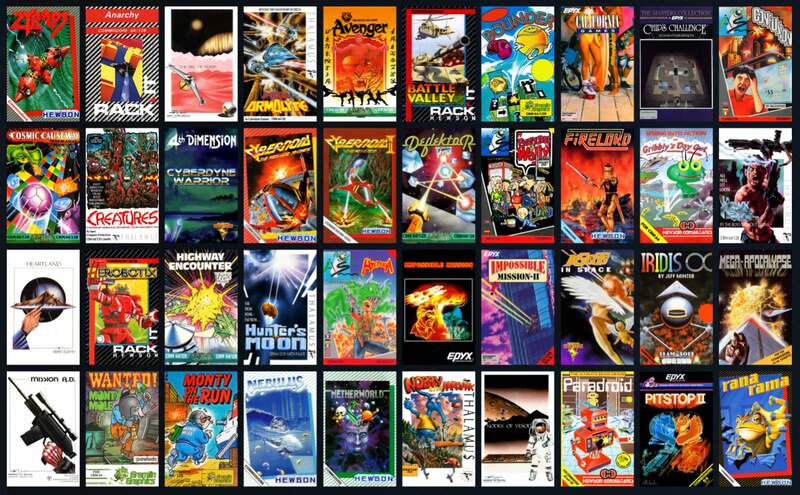 Finding great (or just good) games for the Commodore 64 was always a hit and miss affair, as so many of the titles were terrible copies or sloppy ports of games from other systems. But the makers of the C64 Mini claim they have managed to bundle up 64 titles for the tiny system, with notable classics such as California Games and Chip's Challenge immediately catching my eye. They're no Super Mario World or F-Zero, but they're enough to rekindle fond, frustrated memories of my childhood. The $US70 ($89) C64 Mini will come with a single joystick controller, but you can connect a second one using one of the console's two included USB ports, or you can plug in a full QWERTY keyboard. Why would you want to do that? Like the original Commodore 64, the C64 Mini is also a fully working computer, and still runs BASIC, allowing you to write and save your own programs and games without the need for a disk or cassette drive. So when will the C64 Mini be available? A launch date hasn't been specified, which is a bit concerning. 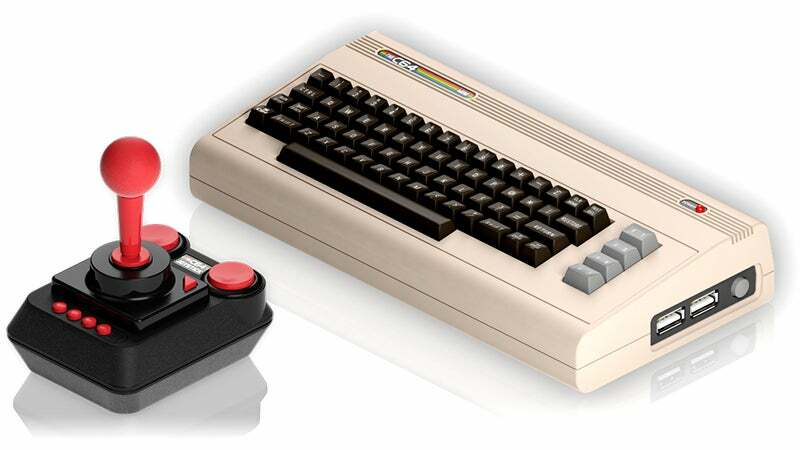 The console's creators, Retro Games Ltd., appear to be the same people behind a clone of the Commodore 64 that hit the crowdfunding site Indiegogo a few years ago. That hardware venture, THE 64, hasn't shipped to backers yet, despite a promised delivery of December 2016. 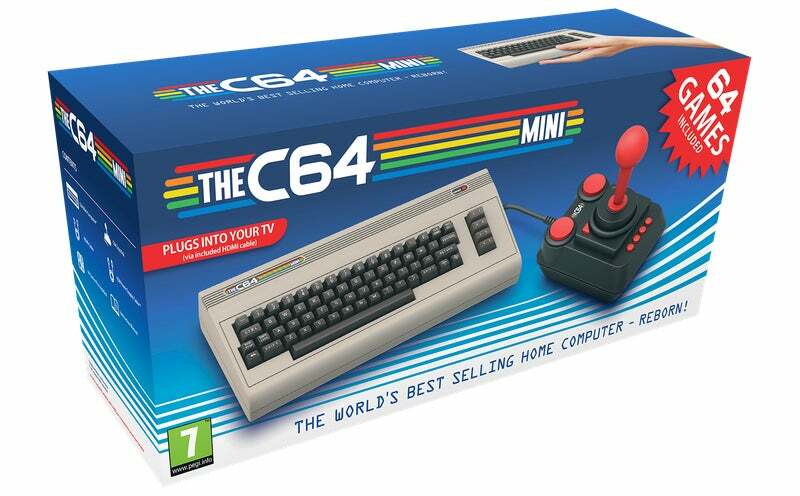 And the updates to that project seem to indicate that it won't ship until the after the C64 Mini does, assuming it successfully manages to make its way into the hands of consumers eventually. I reached out to the creators of the C64 Mini for comment and clarification but had not heard back at time of writing. Until we do, hopefully you managed to snag an SNES Classic Edition to satiate your retro gaming urges. Will I also be able to get a datasette? That would be retro- having to fast forward the tape to the right place on the tape to load the program. Meh, I will just pull out my C64 and play that. Glad I never got rid of it and the millions of floppies, carts and tapes. C.R.E.A.T.U.R.E.S. and Paradroid are absolute masterpieces that are still ye tto be replicated. There are maybe half a dozne others that might be worth another look but to be honest I'm a little dissapointed - there were so many great games on C64 but as we saw with the NES - playability is limited 30 years on. So the really should have included a lot more than what they're showing here. Most of the best games on C64 used the keyboard. Ultima 3:Exodus was a good example. It may be worth it just to play Impossible Mission again, but where are Barbarian, Commando, Outrun, Kung Fu Master, The Last Ninja, International Karate, Operation Wolf, H.E.R.O., Karateka ...?